16 pc. 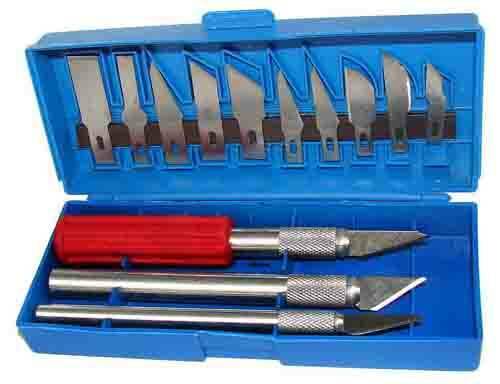 assortment that includes a variety of blades for hobby and craftwork and 3 different sized handles. In a plastic case. Made in China. 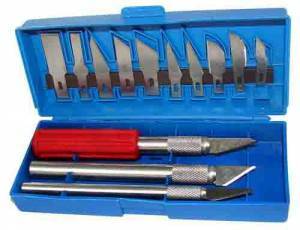 Shop Supplies - Other Shop Supplies (Knives, Kneeling Pads, Tool Bags, Marking Pencils, Etc.